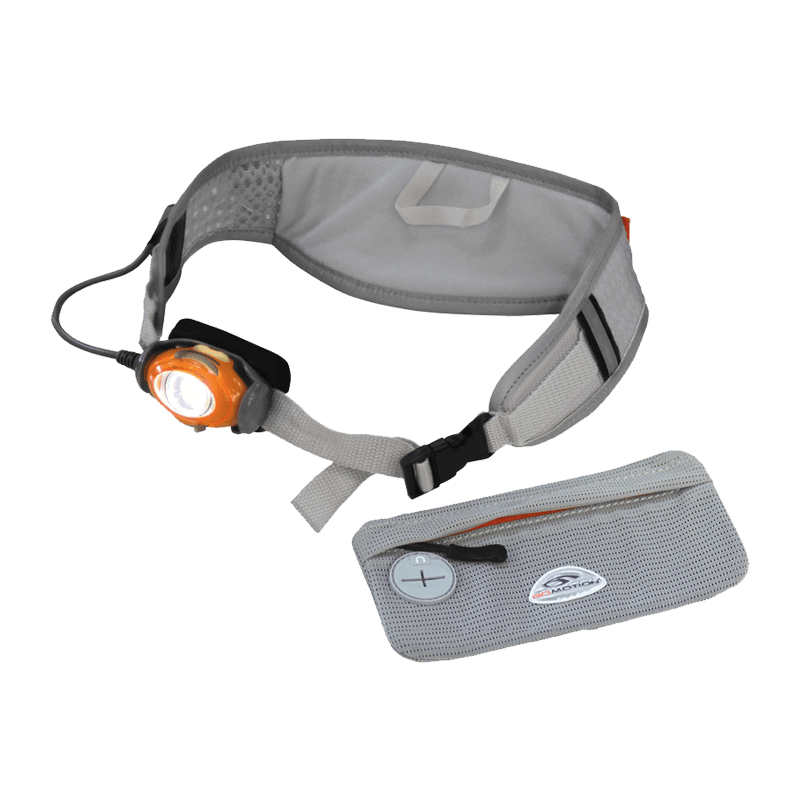 Introducing the all new ORION LightBelt – the 2nd of our new killer lights for fall 2015. ORION come in two sizes (S/M) and (L/XL) and features a 150 Lumen CREE LED and our new Li-Ion rechargeable battery pack. At 200 grams, ORION is great for runners looking for a super lightweight, wearable light. Get it now! I join in Katharine’s comment, please post the measurements for the two sizes. Also, is the pocket big enough for an iPhone 6s? Thanks for the feedback. We’ll add those measurements right away. Yes, an iPhone 6s but not the 6 Plus.